I love the spring season where an abundance of artichokes becomes available at reasonable prices when I go to the market. 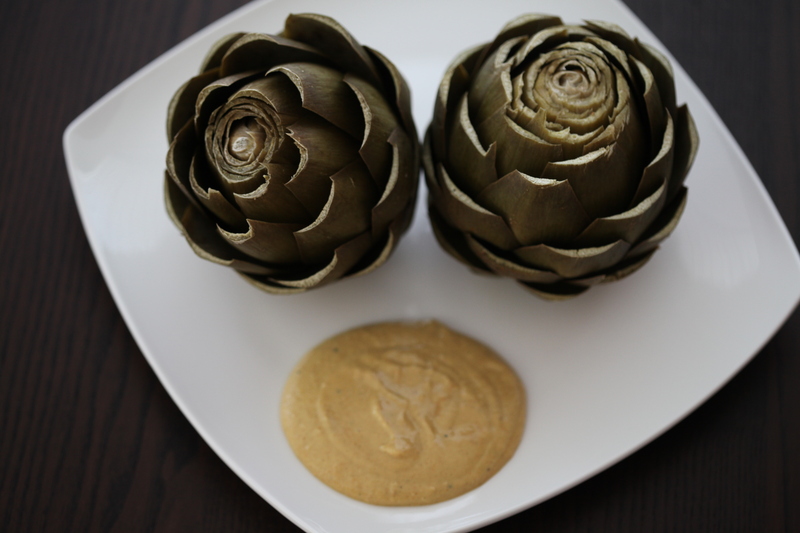 My favorite way to eat an artichoke is simply steamed with an aioli sauce to dip the leaves into as I scrape off the good stuff with my teeth. First step in preparing artichokes is to cut off the sharp thorny tips of the leaves. I use my handy kitchen scissors to snip these right off, and then I use a knife to cut through the leaves at the very top. Then I cut the stem so there’s a flat base to rest the artichokes on in my pot. My preference is to place the artichokes standing in a pot with about an inch of boiling water. I keep the pot covered and drop the heat to medium to let it simmer. Another option is to lay your artichokes in a sieve that sits in a steaming pot of boiling water. After about twenty minutes, your artichokes are cooked to where you should be able to easily pull off the leaves. If not, leave it in longer. It may not be conventional, but it is really tasty. I use about three parts mayo to 1 part mustard, and just a dash of the soy sauce to not overwhelm the sauce with saltiness. Mix well until you have a smooth creamy consistency. 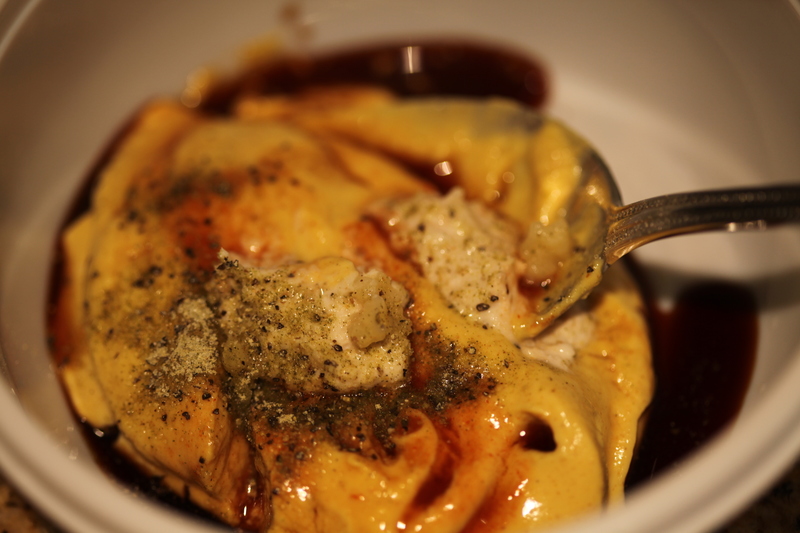 It’s not the healthiest item in my blog, but it is a tasty indulgence and pairs nicely with steamed artichokes. ← Kale and Leeks Pesto Pizza.